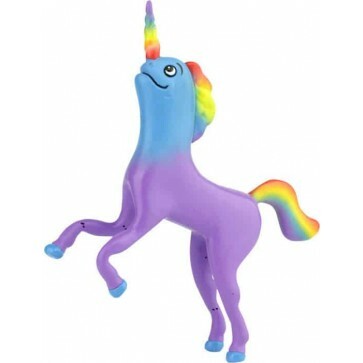 Be the first kid on your block to own a Narwhalicorn! The majestic Narwhalicorn is native to the icy waters off the coast of Greenland and occupies the dreams of only the most innocent children. Half Unicorn and half Narwhal, this magical creature feasts only on the sea grass found in enchanted underwater meadows and soft pink cotton-candy clouds. Legend has it, the Narwhalicorn is the guardian of the mystical Rainbow Caves. She is a friend to every creature with a pure and noble heart.